Jeff Cable's Blog: Sometimes it is the small things that make a big difference! Breaking down an image to learn more. Sometimes it is the small things that make a big difference! Breaking down an image to learn more. 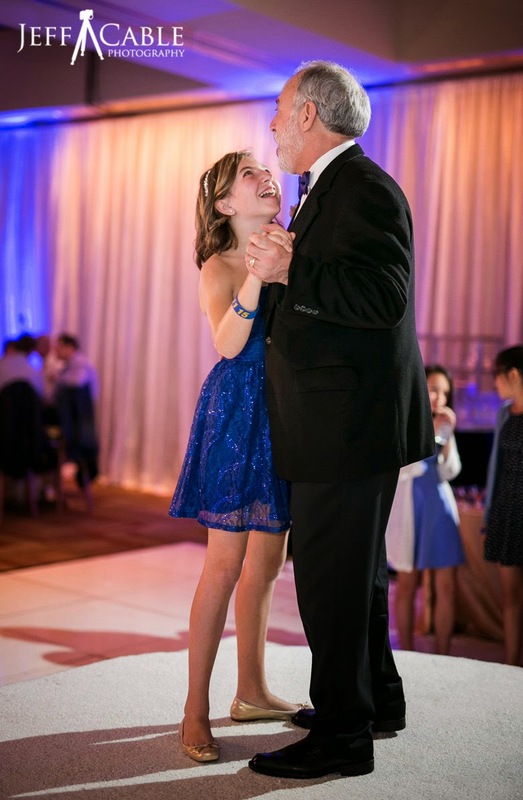 I recently posted a photo on my Facebook page showing a really nice scene of a father and daughter dancing at the girl's Bat Mitzvah. I had many people asking about my lighting setup, so I thought that I would write a blog to explain this to all of you. First of all, here is the photo which I posted. Let me break down this photo to explain why it works so well. * The most important part of this photo are the subjects. It was that split second where they looked at each other and you can see the love they have for each other. 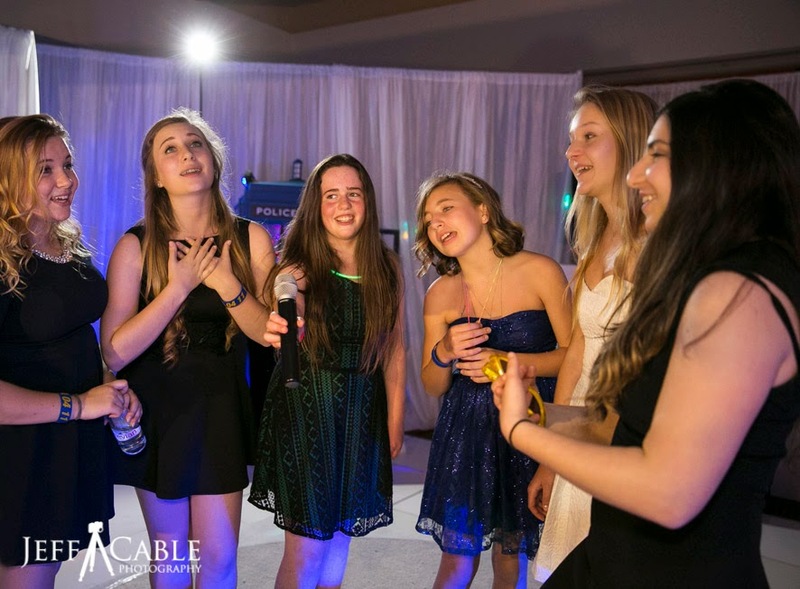 As an event photographer, it is my job to capture these key moments. And for this, it is really important to anticipate moments, having the camera set correctly, and be ready to shoot at any second. * You will notice the separation between my subjects and the background. This was achieved using the Sigma 50mm 1.4 Art lens. I was using the lens wide open at f/1.4 which gave me very narrow depth of field. This lens is crazy sharp and I absolutely love using this lens for these types of situations. * The focus is right on their faces. As soon as the DJ announced the father/daughter dance, I quickly changed to the Sigma lens and moved the focus point of the Canon 1DX to the highest possible position (in portrait mode). This meant that the focus point would be on their faces and not in the middle of their bodies. For these types of dances, I will generally wait for them to slow down before hitting the shutter, In this case, I would wait for them to hit that point where they swayed from one side to another, and just before they sway the other direction, I fire off my shot. When shooting at f/1.4, you better be dead on with the focus or it will be a throw away image. This photo shows the remote flash and stand behind the girls. I usually do not shoot directly towards the remote flash unless I have to. Going back to the first photo...the remote flash is adding a whole bunch of dimension to the image. It is lighting the back of dad's head and jacket, helping to separate him from the background. The light is also hitting the daughter's face, helping to accentuate the big smile on her face. Lastly, the remote flash is creating the shadow, which is cast on the floor to their right. Trust me, this image would not be nearly as strong without the second flash. For all of you out there trying to improve your photography, remember that your control of light (or lack of it) is the key to a good photo. Practice controlling the power of your flash and the placement of your light sources to take your photography to a new level. So obvious, yet so elusive unless you practice photography regularly. 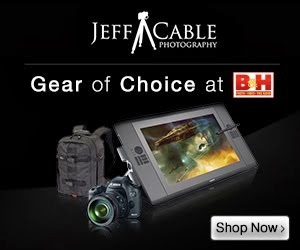 Thanks, Jeff! My point is that you don't only need to understand photography, you need to understand the subjects, the context, and the emotions of the shot, and that only comes from specific experience.